This week, the authority released an image of the model, known as an open gangway plan, delighting train aficionados who had wondered when the idea would arrive in New York City. The model has already appeared in systems in Paris, Toronto and other cities. 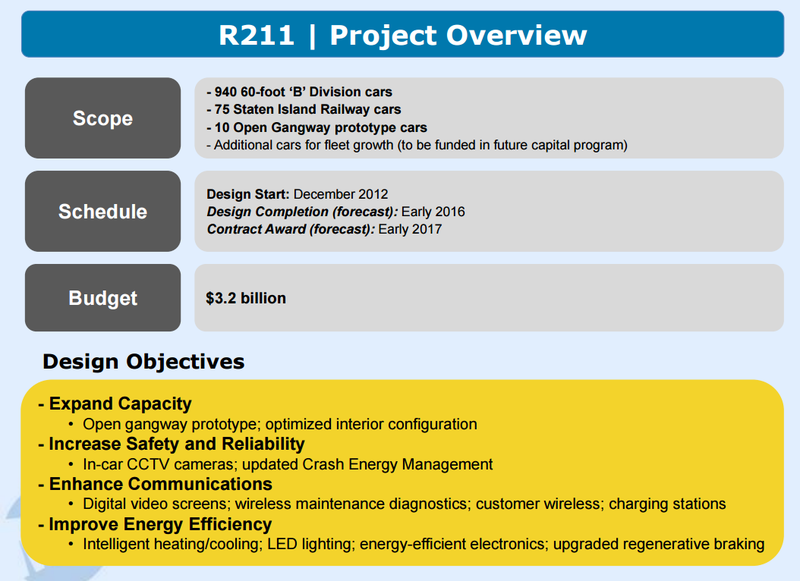 The cars are still years away here: The authority could award a contract as early as next year to build 10 of them, and they would not be delivered until at least 2020, or later, officials said. But their inclusion in a presentation to the authority’s board members brought to life an idea that has been debated for years. 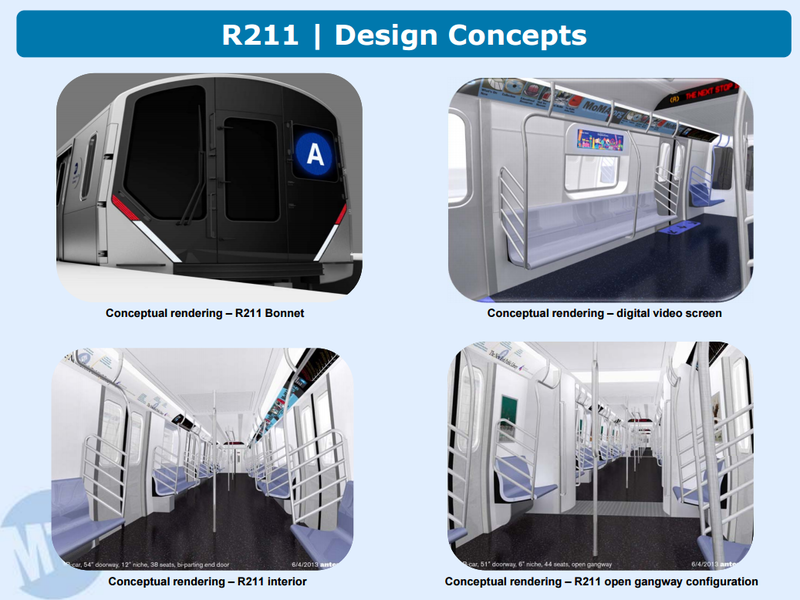 Open gangway subway cars — similar in concept to accordion-style buses — could have several benefits, officials said, including a greater capacity for riders. In Toronto, officials have said the model allowed them to increase capacity by up to 10 percent, and some riders there have praised the new layout. Articulated trains provide an easy way to expand capacity. Given their peak-hour capacity problems, it is disappointing that neither BART nor Washington Metro would even study the idea of articulated cars for their new fleet orders. In 2012, the Sierra Club published a very nice toolkit called Employee Commuting: Best Practice. One of the sections covered employee shuttles, specifically mentioning Google Bus as a Best Practice. These companies offer as a perk to their employees living in San Francisco free transportation to and from their jobs. Meanwhile, the shuttle companies pay a revenue-neutral fee of $3.67 per stop per day to the San Francisco Municipal Transportation Agency. Tech companies get tax write-offs for providing free transportation to employees. And yet, no environmental impact report has been done on this private transportation system with the potential for unlimited growth, unlimited interference with Muni, unlimited demographic disruption and unknown air quality impacts. By all acccounts, the San Francisco tech shuttle program has been wildly successful. An SFMTA study found that 45% of riders did not own cars, and 45% of those cited the employer shuttle as the reason for not owning a car. Furthermore, 47% of riders said they would switch back to car commuting if the shuttle service were discontinued. London has already breached annual pollution limits just one week into 2016, and only weeks after the government published its plans to clean up the UK’s air. At 7am on Friday, Putney High Street in West London breached annual limits for nitrogen dioxide (NO2), a toxic gas produced by diesel vehicles that has been linked to respiratory and heart problems. Under EU rules, sites are only allowed to breach hourly limits of 200 micrograms of NO2 per cubic metre of air 18 times in a year, but this morning Putney broke that limit for the 19th time. Chelsea and Kensington is expected to do the same later today. Attention on the harm caused to human health by NO2 came to the fore last year when it was revealed that VW had cheated NO2 emissions tests in the US, with the scandal affecting 1.2m diesel cars in the UK. Next week, VW UK bosses will be quizzed by MPs on the Environment, Food and Rural Affairs committee on diesel pollution and what they are doing to make cleaner cars. 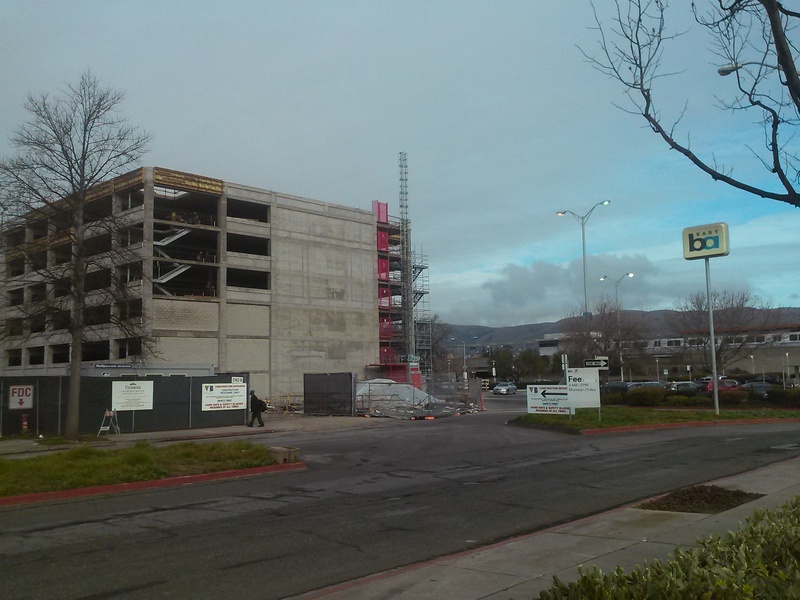 Here is a photo of new transit-oriented development under construction at the Fremont BART station. This is a prime location, directly outside the West entrance. Yes, it is a parking garage, of course. That is how we do TOD in the Bay Area. While Volkswagen is sticking to their story that Dieselgate was merely the work of a few “rogue” engineers, analysis of the ECU code suggests otherwise. In this presentation from a Chaos Computer Club conference, a hacker does a walk-through of the ECU defeat code. The defeat code was sophisticated, and clearly required the support of an entire organization. Someone better go to jail for this. When San Francisco removed the Embarcadero and Central freeways, it helped launch a property boom that made the city’s real estate some of the most valuable in the country. Across the Bay, Oakland is seeing a similar renaissance with the removal of Lake Merritt’s 12th Street Viaduct and the Cypress freeway relocation. Oakland (yes Oakland) has now passed San Jose to become the nation’s 4th hottest rental market. There is now talk in Oakland of removing I980 as well. It’s the Sacramento region’s worst freeway bottleneck, by far. Every day, traffic comes to a standstill on the Capital City Freeway near the American River. The snarls are even worse some Saturdays. Now, after years of debating what to do, state and local leaders say they’ve reached a resolution: It’s time to drop the small-town mindset and go for a big fix. Caltrans has begun laying the groundwork for a $700 million freeway widening from midtown to the junction with Interstate 80. That includes widening the American River bridge to add a new multi-use lane in each direction, as well as building wider shoulders for stalled cars to pull over, a separate lane on the bridge for cyclists and pedestrians, and other improvements. The proposed project area is 8 miles long. The questions: Where will the money come from, and how long will it take to get done? Caltrans officials say the project is so big and the funding sources so uncertain that it may not happen for a decade. That timeline is typical for major transportation projects in California. But the region’s population is expected to grow in that time, including new housing adjacent to the Capital City Freeway at McKinley Village, putting more pressure on an already failing freeway. That section of the Capital City Freeway accounts for one-third of the Sacramento Valley’s freeway delays, which state highway data pegs at 3 million wasted hours. Some history: The Capital City freeway formed the original I80 alignment through Sacramento. It is one of those notorious 1960’s projects, which blasted highways through the middle of cities. Because it did not meet modern interstate standards, it was replaced by a new I80 beltway that went through north Sacramento. At that point, the Capital City freeway had largely outlived its original purpose — and yet the ugly elevated structure has remained. Underneath the elevated structure, the old street grid remains. The neighborhood retains some of the classic craftsman houses. There is now light rail and a respectable amount of pedestrian activity from the nearby government office buildings. 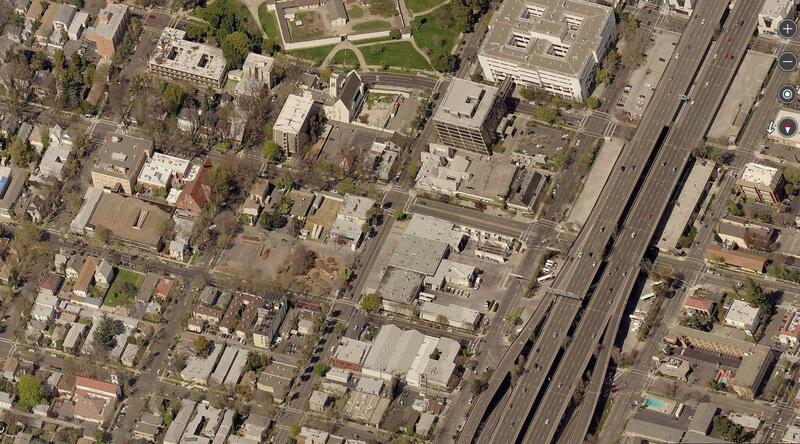 Replacing the freeway with an at-grade boulevard would transform the neighborhood. And it would move the car traffic more efficiently. That is a much better outcome than spending $700 million and 10 years, just to make traffic worse. 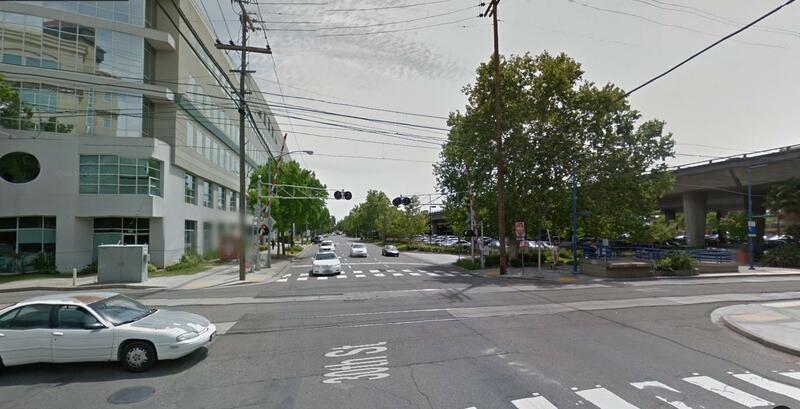 Caltrans headquarters on the left, Capital City freeway on the right. Streetcar tracks running under and across the highway.